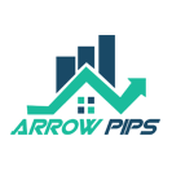 About me ArrowPips provides several alert options from Emails to SMS text messages. All delivery options are available to our users. And most of all, it is all automated so there is no chance you can miss a profit-making opportunity. GBPNZD Its down possibilities. Now created double pin bar. I think more down possibilities. USD CHF Strong sell . Now stay 50% Retrace i hope 61.8 strong sell level . so wait for 61.8% and for candle confirmation. AUDNZD will be strong Up. already broken trend line. wait for correction this area then go for long. CADCHF STRONG DOWN TREND . NOW STAY 50% LEVEL. AND IT WILL BE GO DOWN. WAIT FOR CONFIRMATION. CADJPY Downtrend. correction 61.8 level then will be drop. Wait for 61.8 level and wait for candle confirmation. Gold now strong down trend. we looking for buy at 1280 then target 1302 . Sell point 1300/1303 sell target 1250.